For the last few days I've had a horrendous (feels-like-I'm-dying) cold, which has been particularly depressing because I'm halfway through my four weeks annual leave when I should be enjoying time with my son. I started to feel a bit better this afternoon so decided to go into the garden with a box of paints and a bag of Paper Artsy stamps. Here are two cards that I started in the garden and have now finished off . 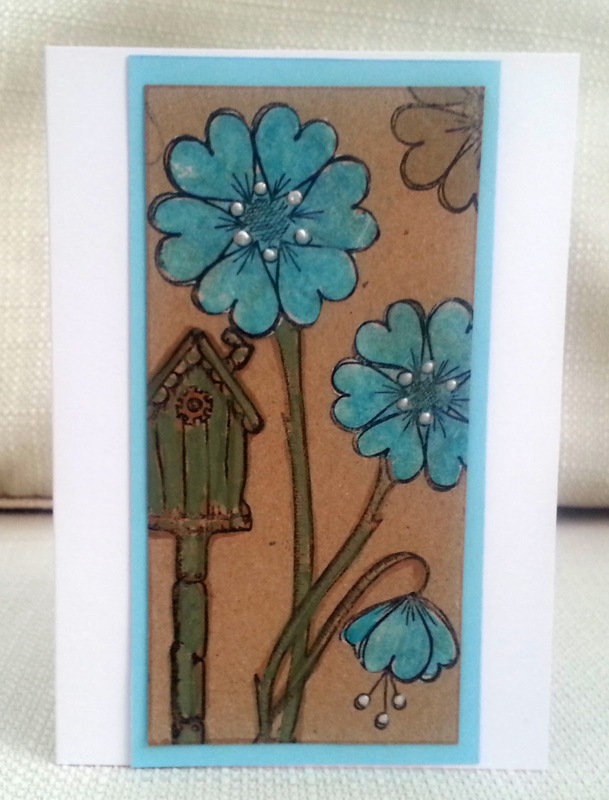 This one I stamped onto kraft card , painted the birdhouse and stems. I had some white tissue paper and I stamped the flowers onto it , coloured them with blue paint , cut them out (not very accurately as I was using the kitchen scissors!) and paper-pieced them. Later on I trimmed the panel, added some definition with a marker pen , added liquid pearl and mounted it onto card. For this one I created the background on some waste cardboard, using Gesso and paint. I stamped the flowers and leaves and coloured them with paint. What was my son doing while I did all this? 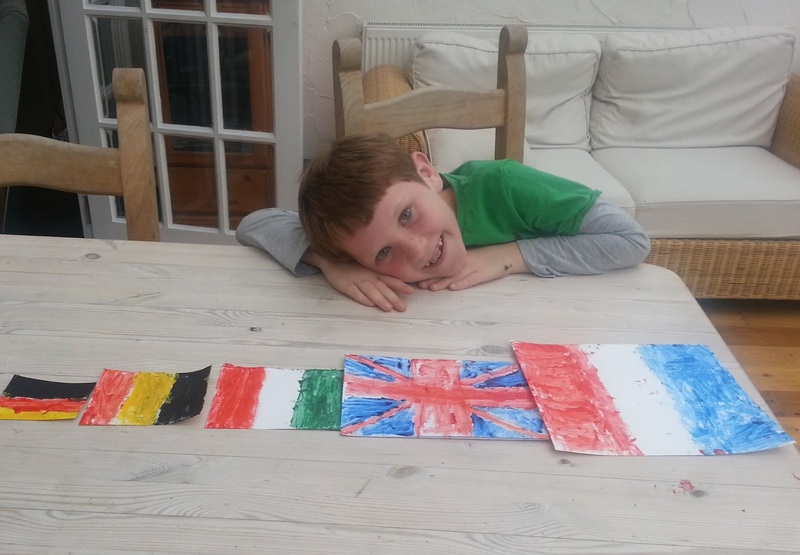 For some reason he decided to research and paint European flags. I suppose it will come in handy for quizzes! 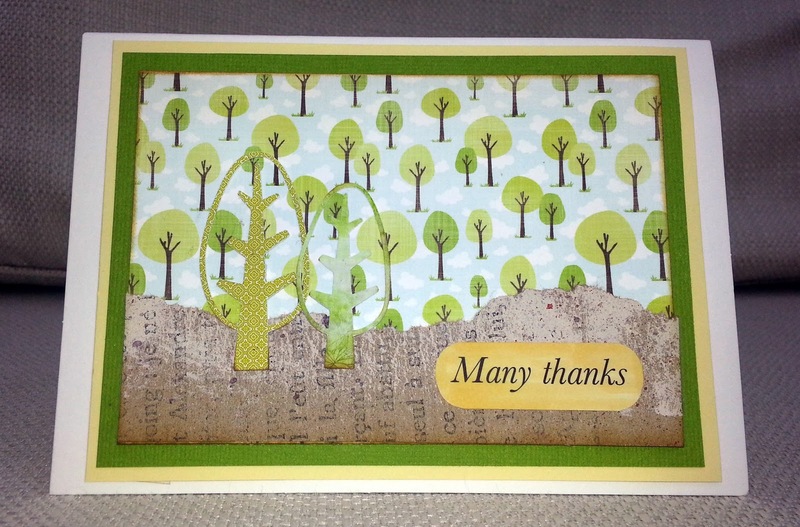 Here's a thank you card I made using a digi from A Day for Daisies. 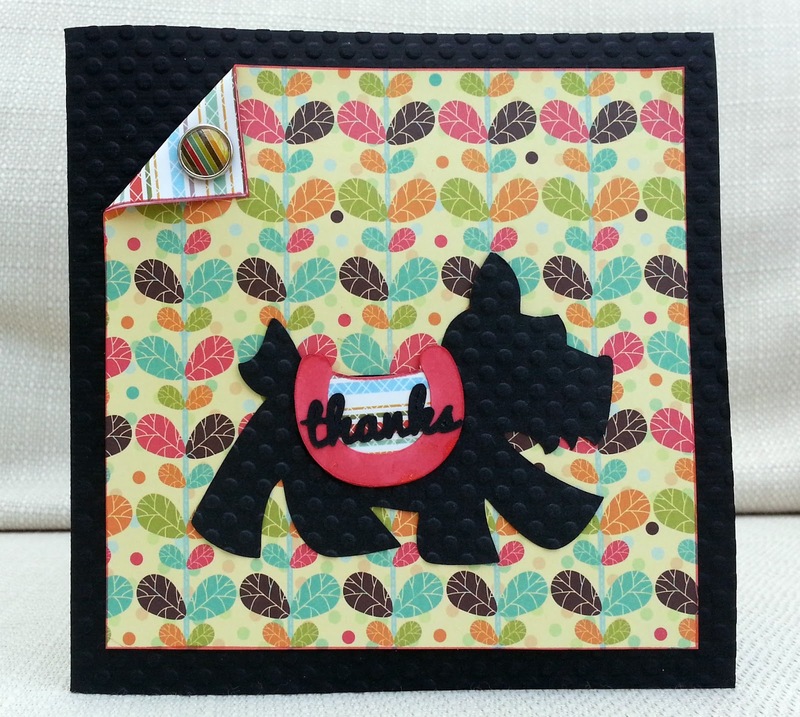 I paper pieced with patterned paper and if you look closely you will see that I have spelt out 'thanks' on the tails. 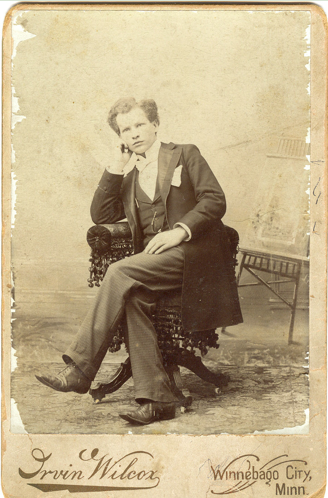 I don't often enter CASE challenges, but Alice's card at Time Out gave me lots of ideas . I've been looking for a stamp or digi to get that torn hole effect but in the end I just copied a royalty -free picture and printed it onto my card. 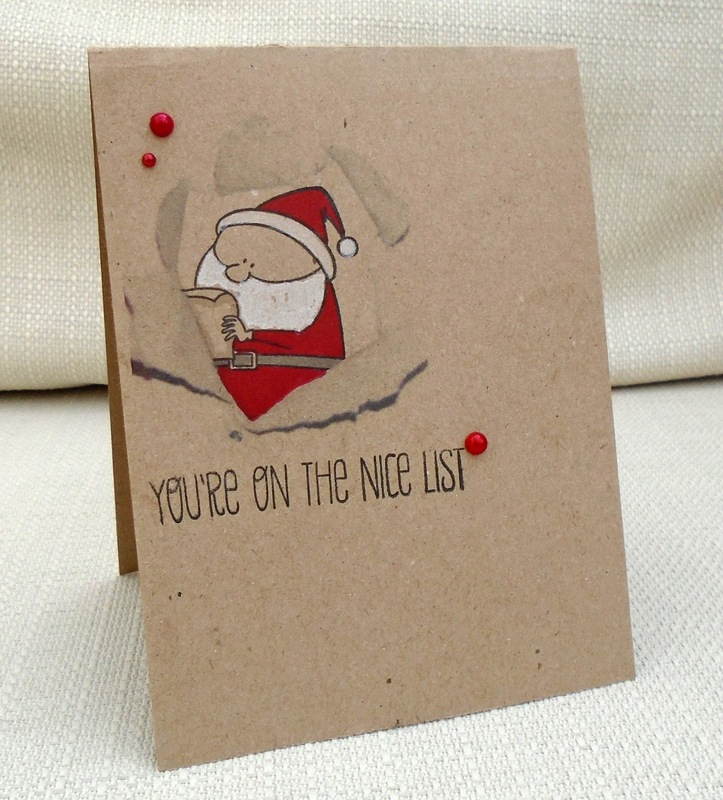 The Santa and sentiment are stamps by My Favorite Things. Holly Jolly carol - Santa Claus is coming to town. I also decided to use the sketch from Stamplorations . 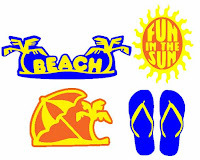 This image is from Polkadoodles not for girls CD and was part of a topper , so I needed to crop it out. 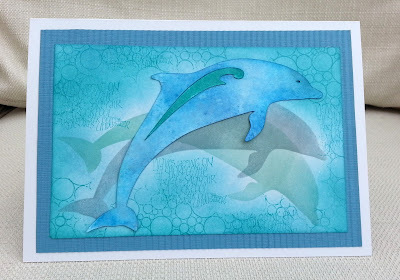 I also changed the background colour to tone with my scrap of striped paper. In Silhouette Studio, I traced the figure and cut it out in black card and stuck it over the printed image, to give it more presence. I also cut out the headphones (also from Polkadoodles Not for Girls) and the sentiment (using the text feature). 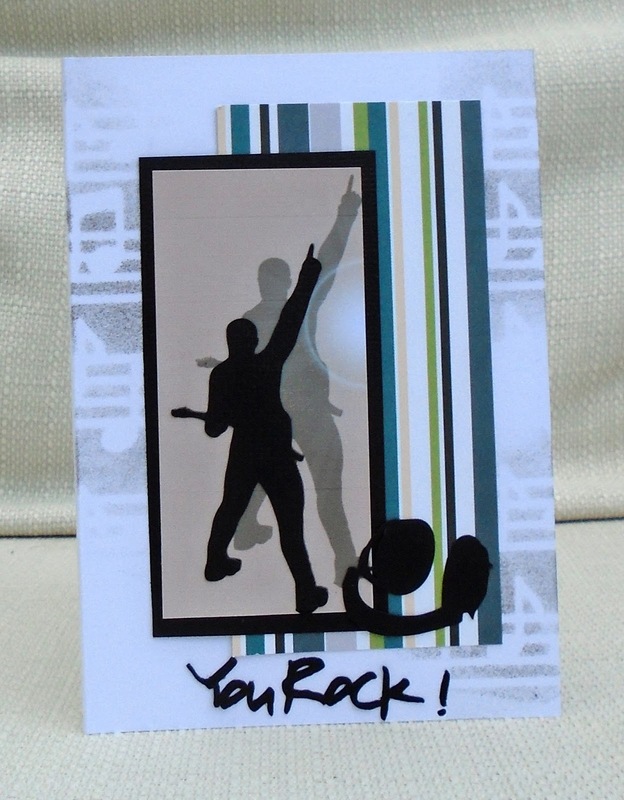 On the base card, I used a music notes stencil and grey ink. I'd also like to enter this at That's Crafty (stencils/masks) and Crafts4eterntity music. 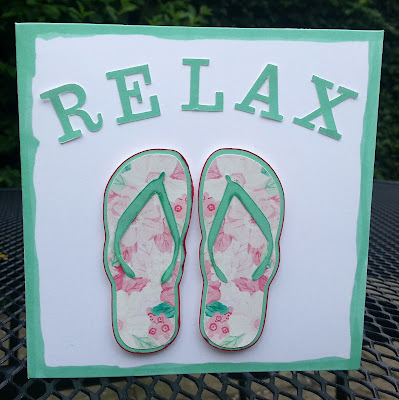 Inspired by some of the challenges out there (listed below) , I wanted to make a pretty, summer-y card. 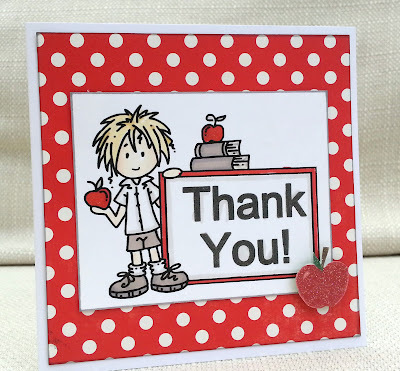 I used a rubber stamp by Elizabeth Bell with a die cut frame and coloured with alcohol markers. I embellished with a basket (Creative Pointe svg) , flowers and a butterfly sticker. Glitter n Sparkle starts with b - basket, blue jeans, butterfly and bare feet. 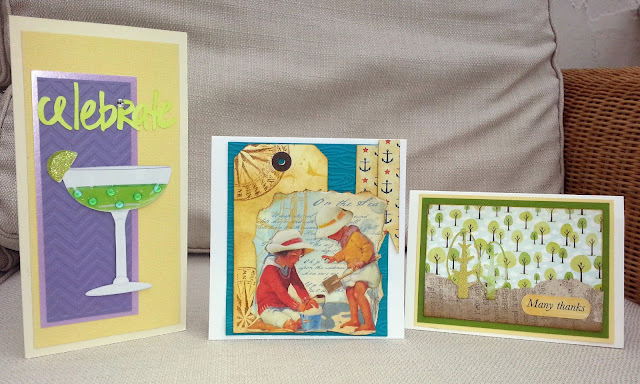 Our challenge this week at City Crafter is to create a masculine birthday card. 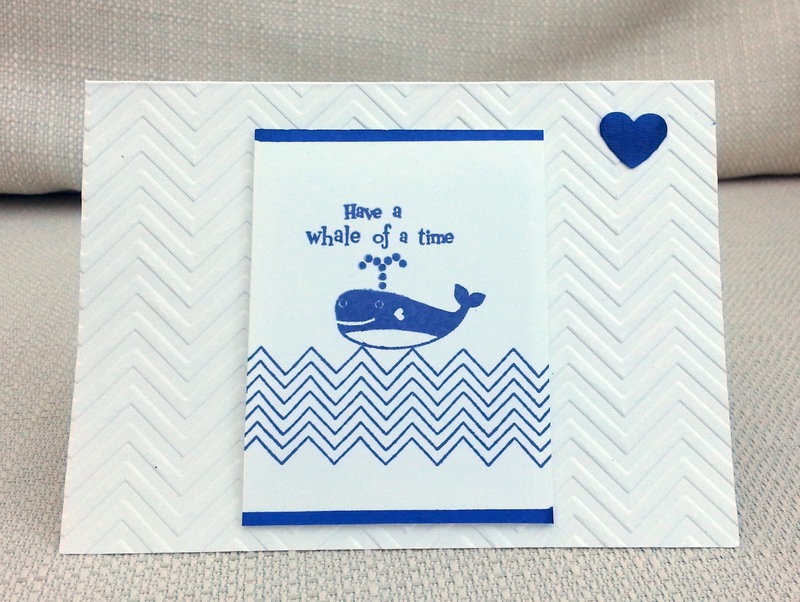 For my DT card I created a card for my daughter's partner. It was his birthday last week and this weekend he's been at a big dance music festival in Belgium. I tried to create the feeling of being at the best gig ever. 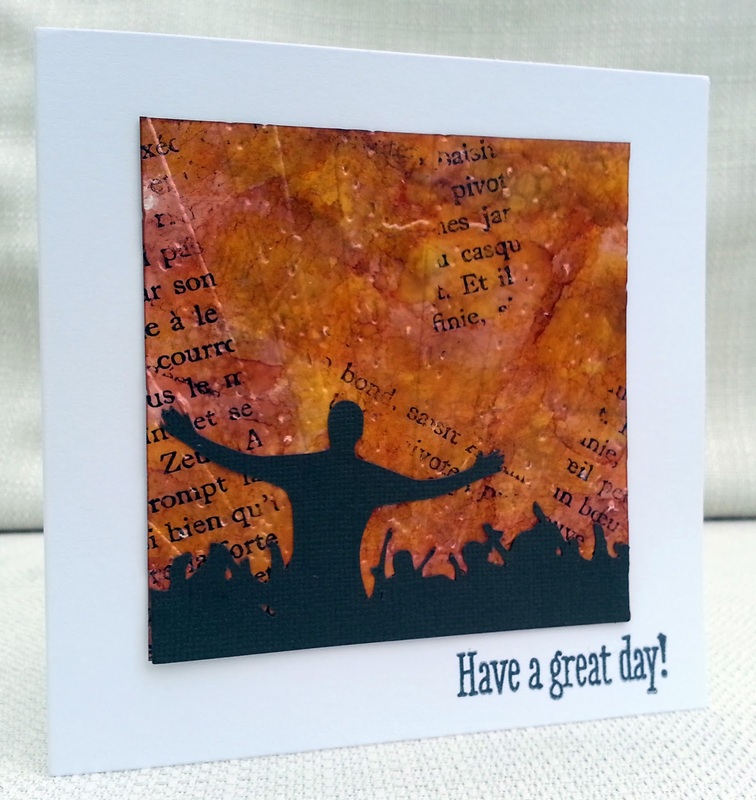 I created a background using alcohol inks and then randomly stamped patches of a Sarah Hurley text stamp. Then I dry - embossed with a Tim Holtz sunray folder. I found a crowd scene silhouette on the internet and traced and cut it on my Silhouette Cameo. The sentiment is by Hero Arts. 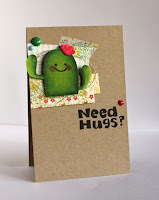 I hope you'll create any kind of masculine card and join us at City Crafter. 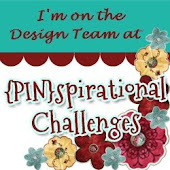 Please do visit the challenge blog, see what the rest of the team have done and meet our Guest Designer , Dana . I think you can see what I've done here! The current challenge at Crafty Boots is Christmas in July , so I made a Christmas version of my winning card. I hope that's not too boring! On my Silhouette Cameo, I turned some pictures of tree baubles into sketches and, using a pen instead of a blade, sketched them , and the 'stitching' onto card. 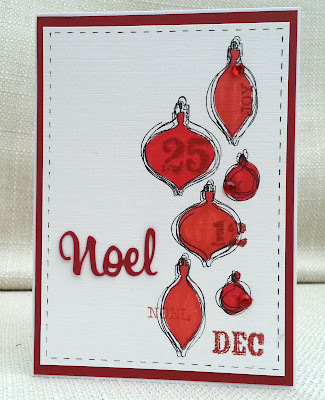 I coloured them with markers and then stamped random Christmas words and numbers. I added a die cut sentiment and some gems. I hope you like it and I hope you will join in with the challenge at Crafty Boots. Thanks for having me as Guest Designer! Our Make My Monday challenge this week is 'Flowers'. How easy is that? 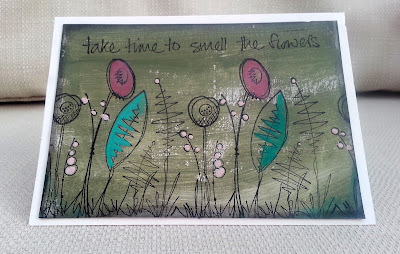 For my DT card I used a digi from A Day For Daisies, a sentiment I made on the p.c and magazine freebie papers. The fairy wings are glittery too. This will be our last challenge at Make My Monday until September, when we will be relaunching with our new Design Team members. 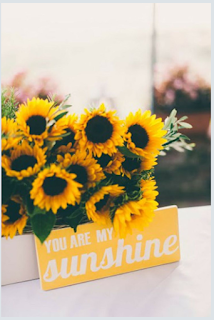 I hope you will make a floral project and join us at Make My Monday. Today at City Crafter we are celebrating Stella's birthday. I mailed this card to her a few days ago so if you haven;t received it yet, Stella, it's on its way. I used a star stencil which I inked through and then stamped through with ink blob stamps in shades of blue/turquoise, aqua. 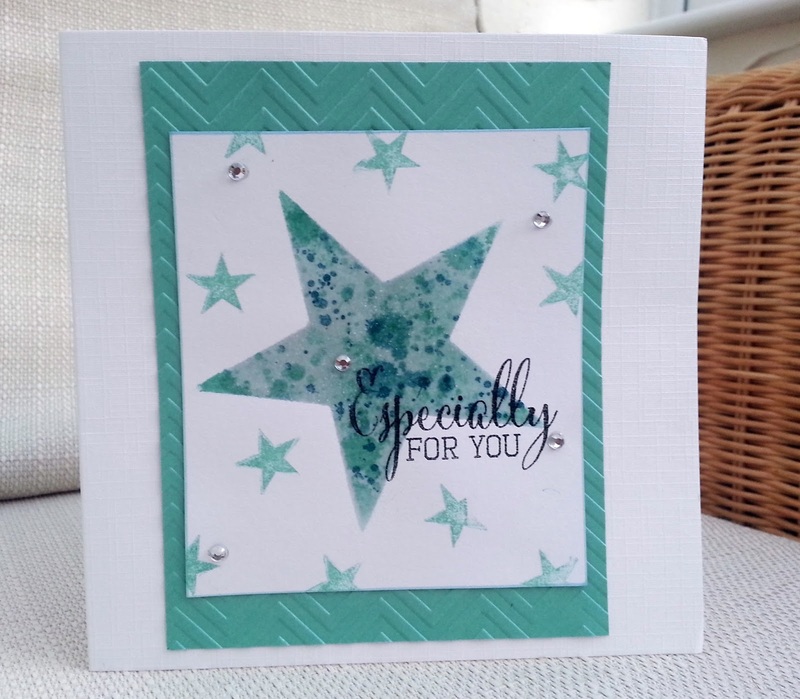 Then I embossed the star with a mix of clear and holographic embossing powder. The sentiment is by Clearly Besotted. Stella, Happy Birthday. I hope you have a great day. Seeing the 'chevron' challenge at Addicted to CAS , I thought it'd be fun to use my Lawn Fawn chevron stamp as waves. 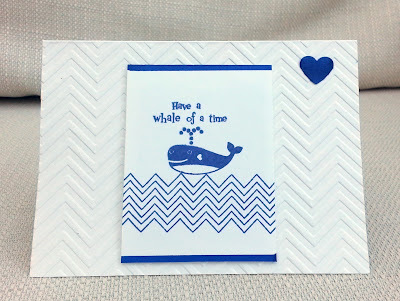 The whale and the sentiment stamps are an old set (mystery brand) and I used a chevrom embossing folder and punched heart. 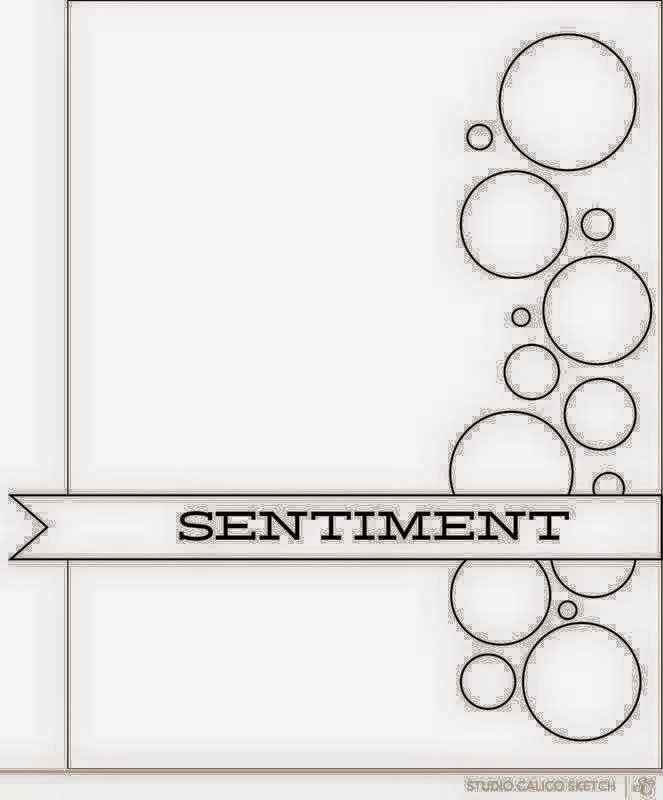 I'd also like to enter this at Stampin Royalty , Keep it Simple. Thanks to the kind suggestions left for me in the comments, I'm also going to enter The Male Room (was worried about the spots but there are some above the whale's head), and Less is More . I love using snowfall acetate too. 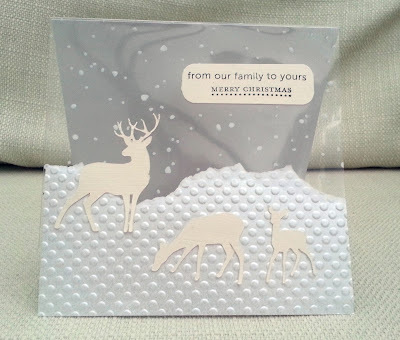 And my spotty embossing folder. So lots of old favourites on this one. 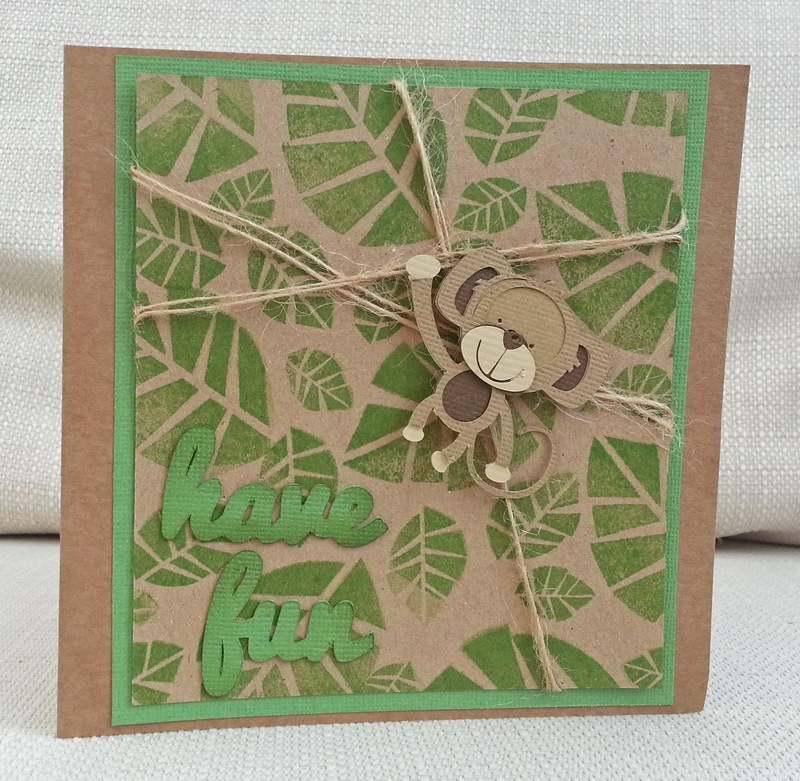 The sentiments are Mama Elephant and Stampin Up. I went to my local crop at the weekend, which I always enjoy. The class kit contained these owl-themed papers by Kaisercraft and I decided not to use the kit design, because I wanted to scrap this photo of my son sitting in a tree. 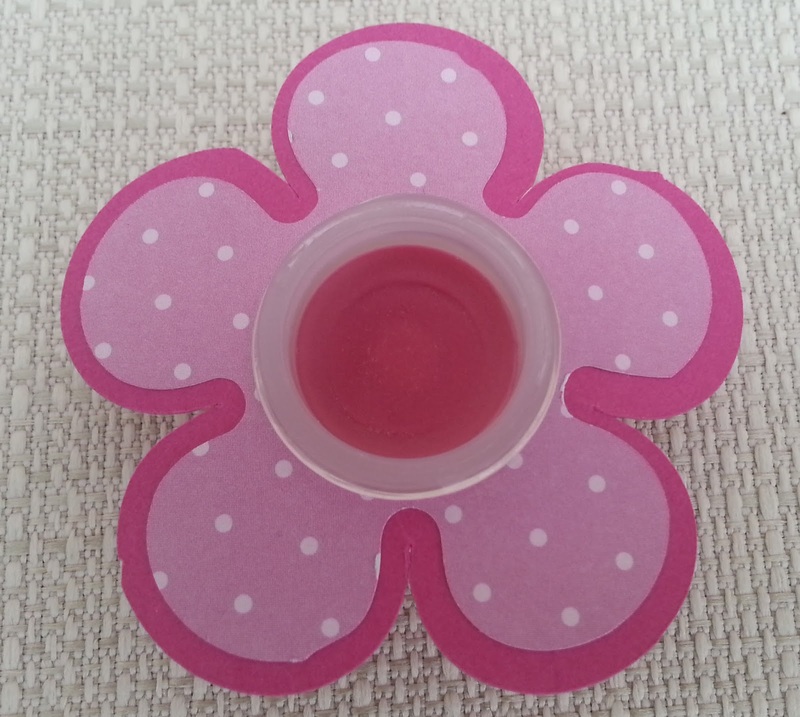 I know there is a bit more pink than often used with boy layouts! I used the leftovers to make the card, on which I layered up two of the owls. City Crafter - Hemp and Twine will be Fine...and prize to be won! Our challenge at City Crafter this week is to use hemp cord or twine. 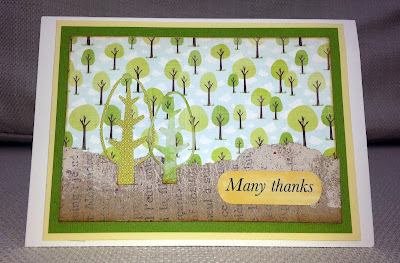 For my DT project I stamped a background with leaves from an old set (Woodware I think). Then I wrapped it with twine and let my die-cut monkey hang from it. 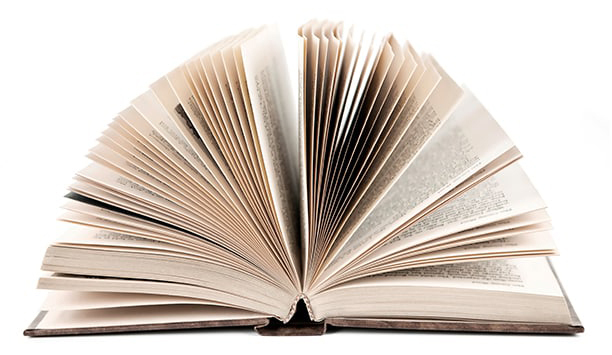 We'd love to see your ideas for using twine. 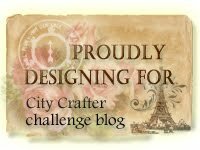 I hope you'll come over to City Crafter, see what the DT have done, meet our Guest Designer Lise, and share your project with us. STOP PRESS!!! 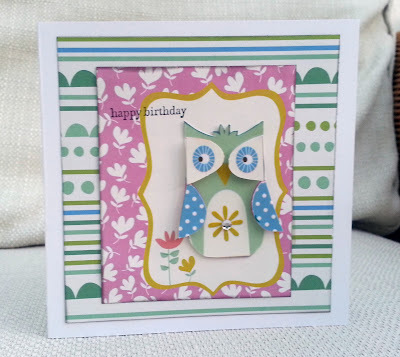 Join in our challenge at City Crafter and you could win this lovely prize! Time Out nature/animal - thanks Sandie for suggesting it, Luckily no entry limit on this challenge! 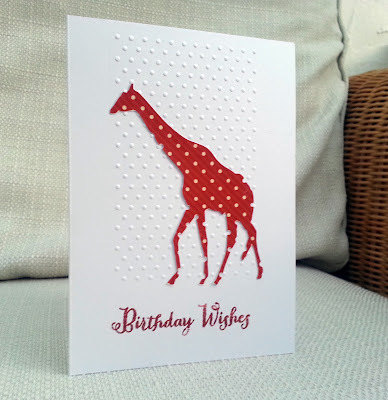 I cut out this giraffe when I was trying out the Silhouette Pixscan technology - it was printed on patterned paper and I scanned it and cut it electronically. I thought it would be fun to place it on an embossed spotty background. It's very CAS! This week at Make My Monday , Joan has chosen 'Steampunk'. 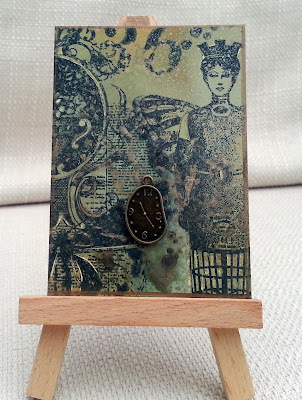 I used an ATC sized piece of Stampbord ,stamps from Non- Sequitur and Kaisercraft, Distress Inks and spray mists, and a distorted clock charm. I scratch some highlights in the Stampbord but they don't show up well in the photo. I hope you will join in our fun theme and link up a Steampunk project at Make My Monday . 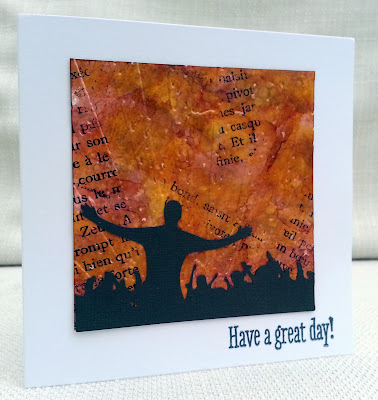 I made this card to enter a few of my favourite challenges - CD Sunday (stamped image plus item from CD), Paper Artsy (time) and Shopping Our Stash (paper piecing) . 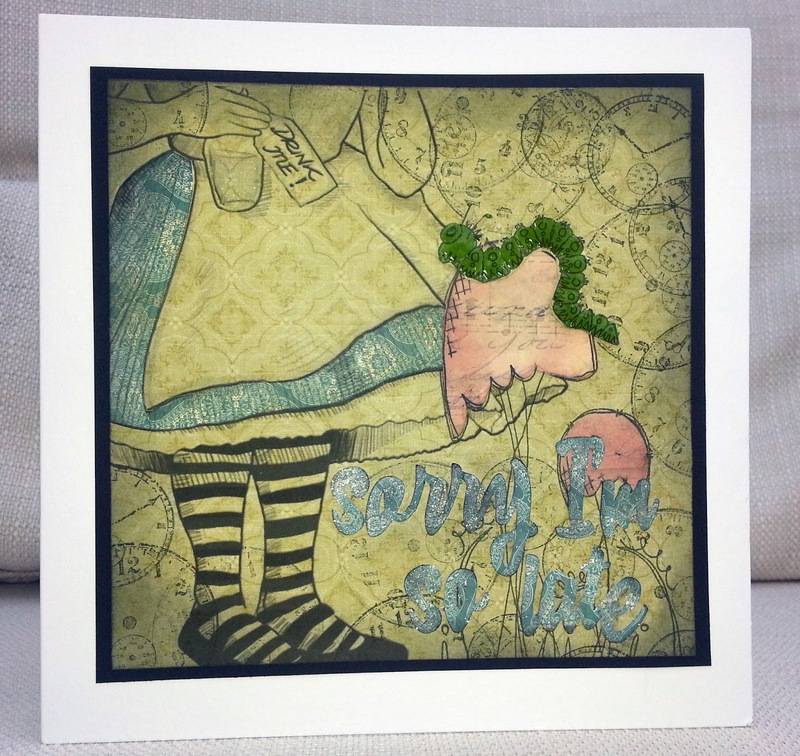 This 'Alice' image is from My Craft Studio 'A Very Important Date' CD, and I have used it before, always cropped off as I think the face is too cartoonish but the lower body alone suggests a more classic Alice. I printed it onto patterned paper and paper pieced the skirt. 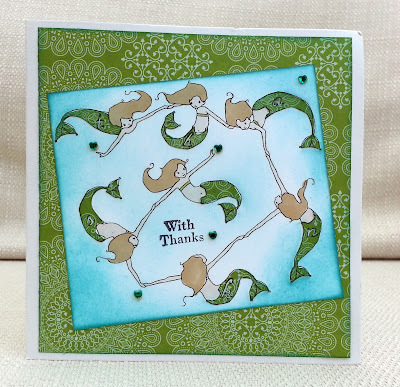 Then I stamped the caterpillar - this (and the mushrooms) are from a new Paper Artsy set and the main reason I bought it was for the caterpillar! I coloured it in, cut it out and covered it in Glossy Accents. Finally, I cut out the sentiment on the Silhouette and covered it with Wink of Stella. 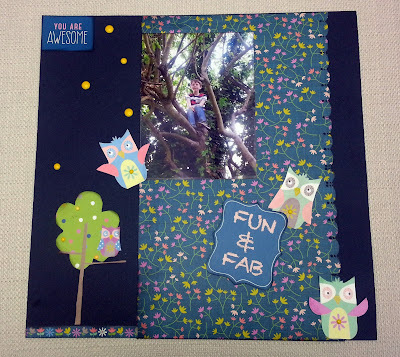 I'm sure I'm not alone in having bags and boxes of scraps - scrapbook paper leftover from a layout, extra backgrounds made when trying a technique, offcuts of card, extra die-cuts ......!!! This week I grabbed one of these bags and challenged myself to make some cards using these scraps. This cocktail was cut out, using a freebie SVG file, the first time I tried 'print and cut' on the Silhouette ecutting machine. 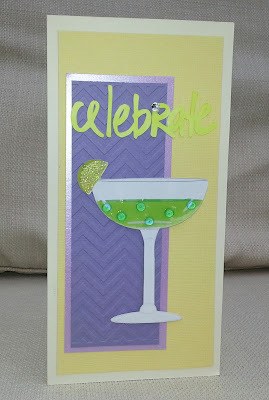 The cardstock was offcuts and I added glossy accents, gems, glitter (to the lime) and I cut out the sentiment. Here I used scraps from Graphic 45 paper left from a project kit from my local crop months ago. The tag was one that at some stage I distressed, stamped with compasses...and shoved in a bag of scraps! I cut some of the paper into banners and dry embossed the teal card. Here we have offcuts of card, digital patterned paper I printed out and didn't use, die cut trees and torn kraft paper altered with paint and text stamp (leftover from a project). 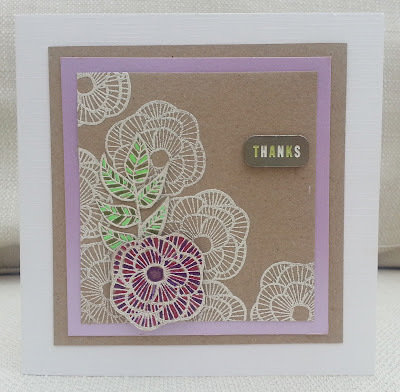 The only thing I used that was not in the scrap bag is the sentiment. 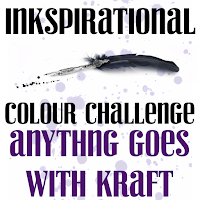 Our challenge at Inkspirational this week is 'anything goes with kraft'. I made this DT card months ago, but last week I opened the new issue of Craft Stamper magazine and saw a card with white embossing on kraft card, using the SAME stamp set from Alte New! As they say, great minds think alike! 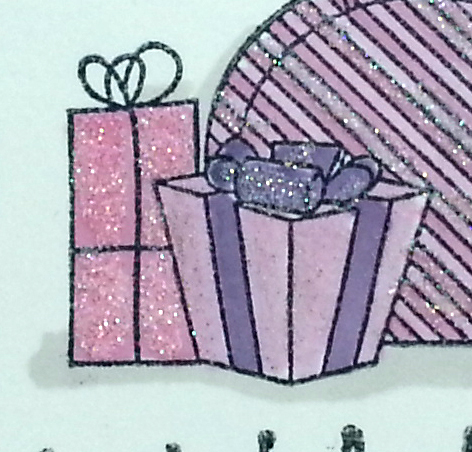 I finished my card with Sakura gel pens and a metal embellishment I've had hanging around for a VERY long time. 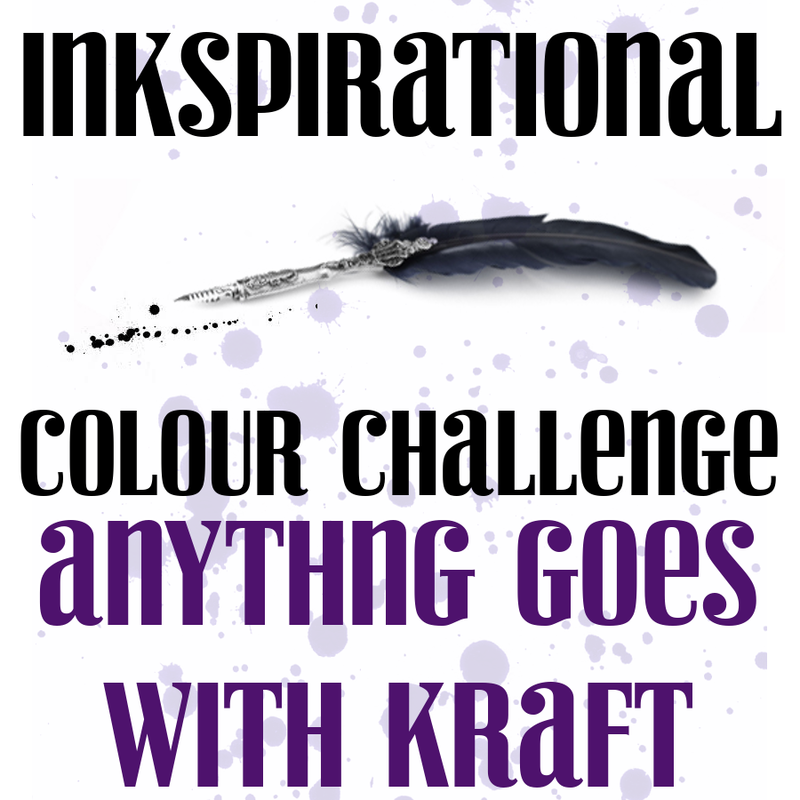 I hope you will join in our challenge at Inkspirational , see what our DT has done and meet our Guest Designer , Bobby . Still trying to make one layer Christmas cards, spurred on by OLCCC. Their theme this time is 'gifts'. The gifts and the sentiment are from a free-with -magazine set. I made a semi-circular mask and sponged over it with distress ink, and tried to add further dimension by using a grey marker. 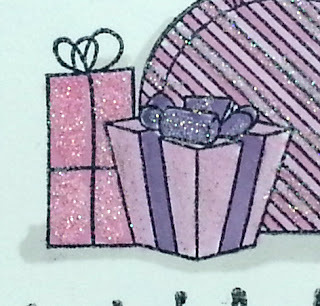 Then lots of glitter - that's the sad thing about craft blogging, you just don't get the twinkle! 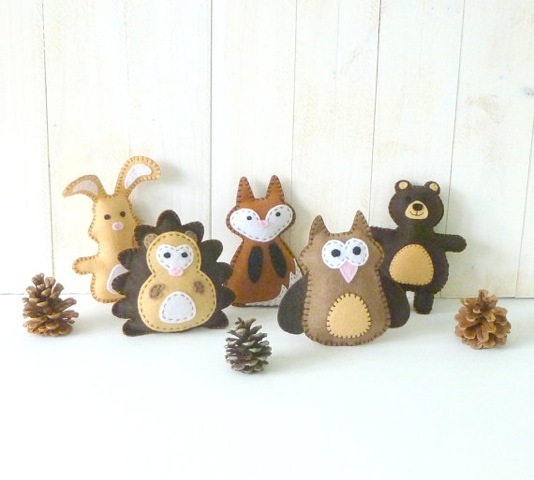 This is a much-loved theme for me - I love to include owls and foxes on cards, and usually go for an autumnal or even winter look. 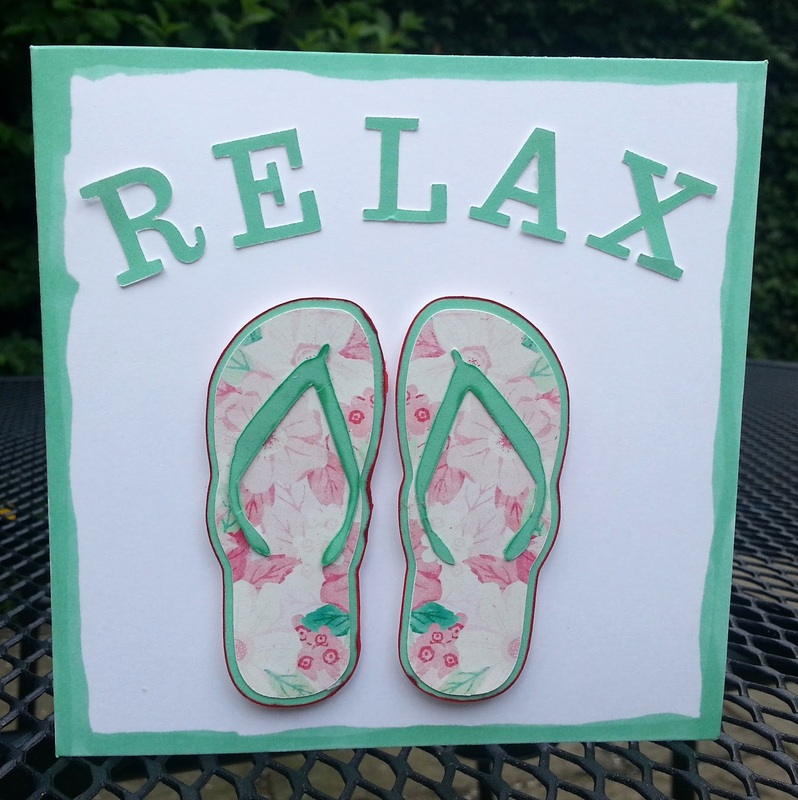 But for my DT card I decided to go for a more summer-y look. 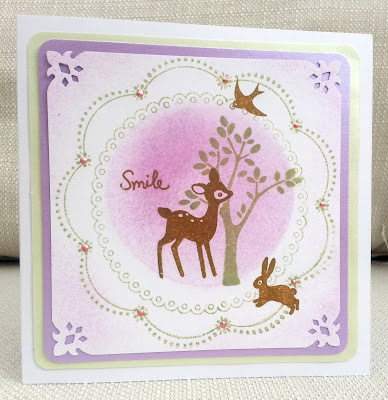 I used a Kaisercraft stamp set, and the double circle stamp was free with a magazine. I hope you will join us at City Crafter with a project featuring a woodland animal. Please come over and see what the work of the DT , and our Guest Designer, Laurie. 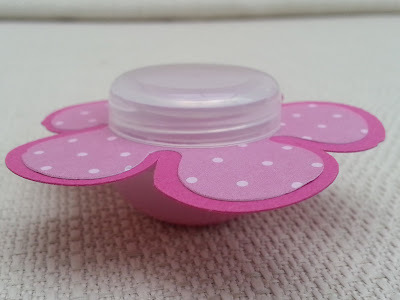 I made some lip gloss, using a kit from Plush Folly. The little plastic pot came with the kit but I thought I'd find a way of dressing it up to give as a gift. I measured the neck of the pot, found a flower svg cutting file and made a circle (in Silhouette Studio) in the middle to fit the pot. Then I made an internal offset and cut the shapes out. I hope you'll share what you've made with us at Make My Monday. I'm still working my way through my daughter's list of requests. 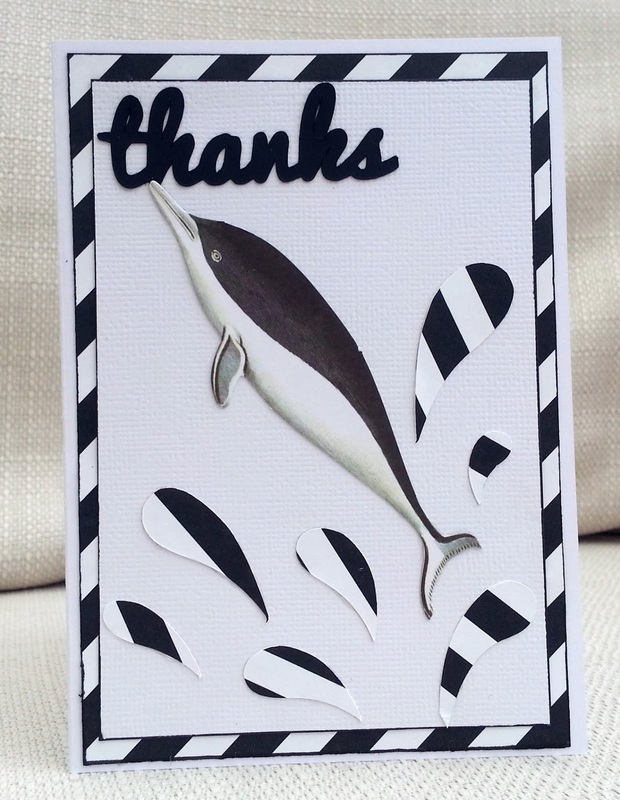 This one is 'a thank you card with a dolphin on it'. 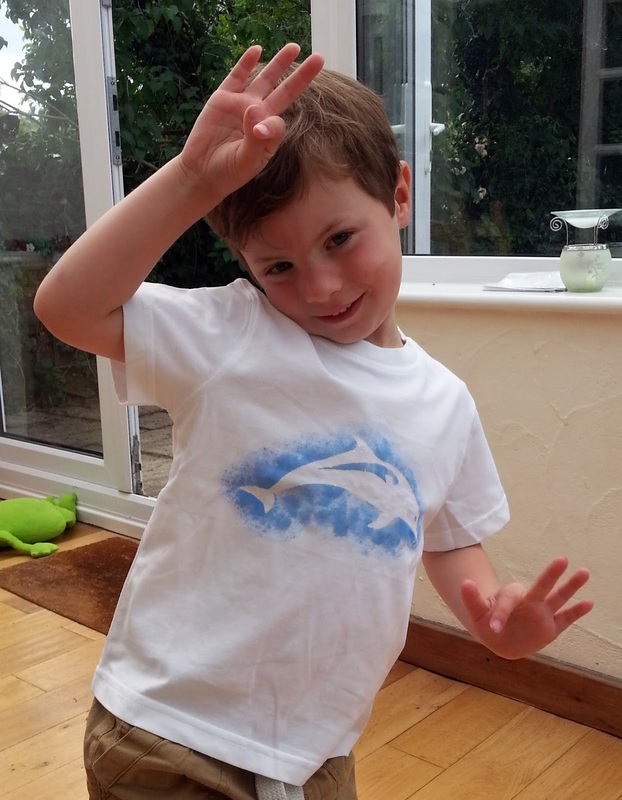 I hope this is actually a dolphin and not some other , similar, marine creature! The dolphin was a die-cut from a Tilda paper pack - I wouldn't have chosen to do this card in black and white if I hadn't found this die-cut , but I'm glad I did now, as I think it gives it a bit of a twist. I cut the splashes and the sentiment on my Silhouette. This is a digi from Bugaboo; the frame was empty so I added the sentiment. I coloured it with markers and added 'Wink of Stella' to the apples. The apple in the corner was cut from glittery patterned paper. I die- cut the dog, coat and 'thanks' on my electronic cutting machine. I embossed the dog and the black card base with a spotty embossing folder- it doesn't show very well in the photo but it does add a lot to the card, I think. 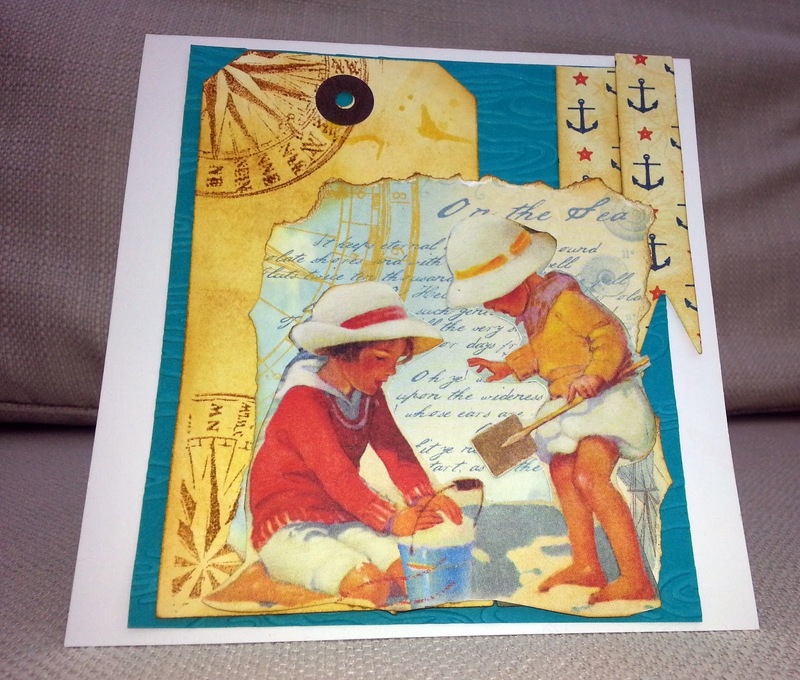 The papers are old freebies from Making Cards magazine and I faked a turned down corner and secured it with a brad. I was flicking through an old magazine and saw the image I've used above (by Kirsty Neale) . It was on the 'template' pages of the magazine and when I checked my computer I discovered that I had downloaded a digital version of the templates at the time. 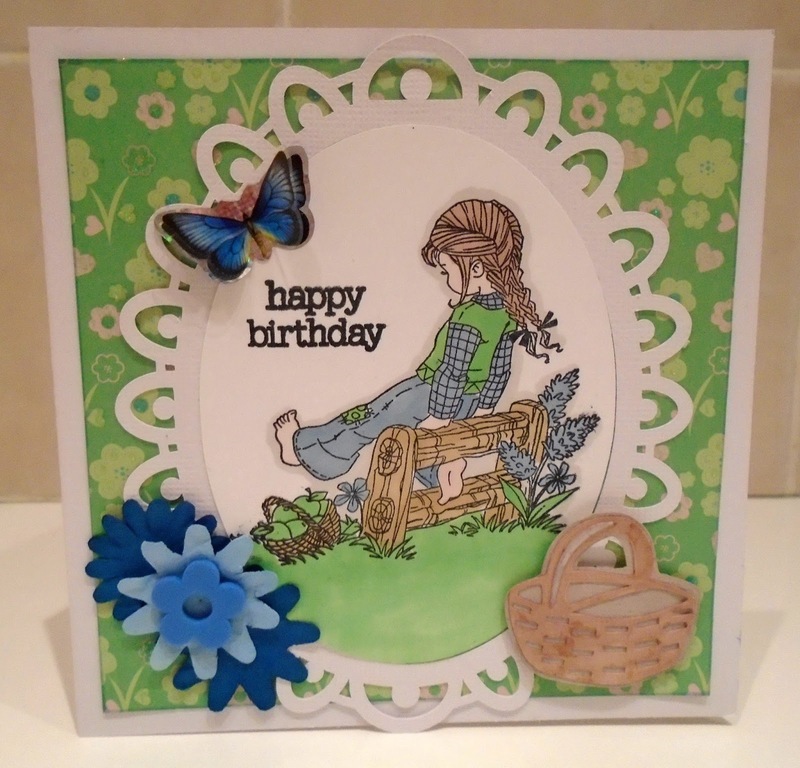 I coloured it with Promarkers, paper-pieced with Cosmo Cricket scrap patterned paper and added a die-cut balloon which I inked and stamped with a Hampton Art chevron stamp. The sketchy sun with the word 'sun' were created in Silhouette studio and I added yellow embellishments such as flowers, button, washi tape and a metal flower. I hope you will join us at City Crafter. Pop over now and meet our GD, Margaretha. I chose this week's theme at Make My Monday , The Sea. When I chose the theme I had a vague idea for a classic nautical card. 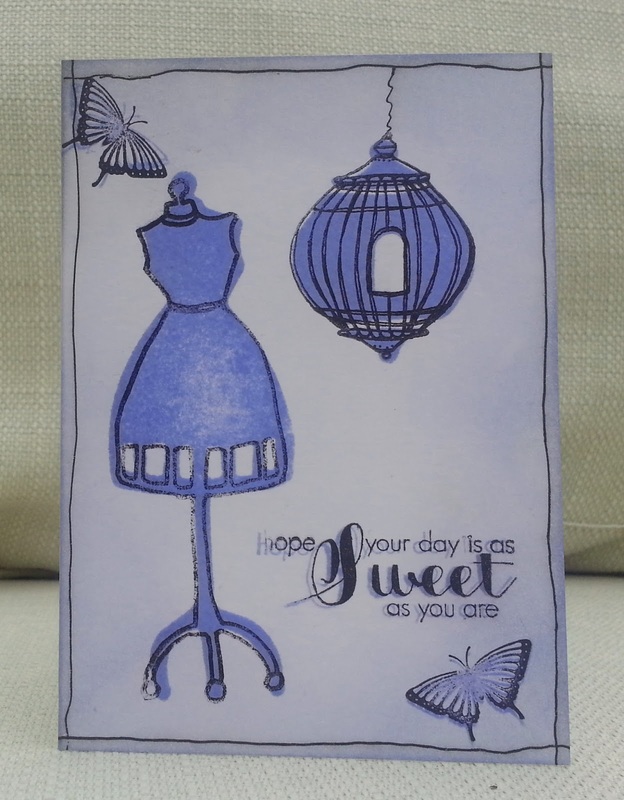 However, this card came about because I thought I'd experiment with a stencil I'd made. For my card, I created two shadowy dolpins in different shades of ink and then made the one on the top using a die-cut I made when I test-cut the stencil in card. 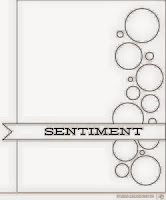 For my background I did lots of inking and used a Creative Expression bubble stamp and a verse from Crafty Individuals. 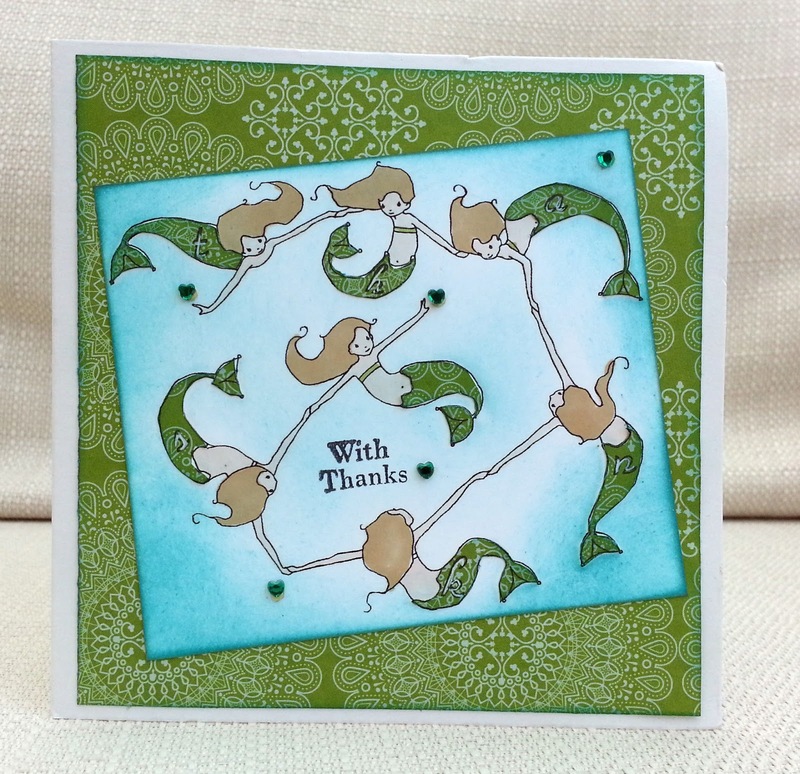 I hope you'll join us at Make My Monday with a sea-themed project. 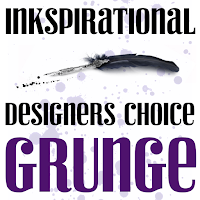 When my most CAS teammie , Sandie , told me she wanted to choose 'Grunge' as her 'Designer's Choice' theme I was really suspicious . I associate grunge with mixed media or shabby styles ...and then I realised the date we were emailing about this was April 1st! But no, she assured me that grunge was no April Fool's joke and if you look on the Inkspirational blog, you'll find some guidelines. 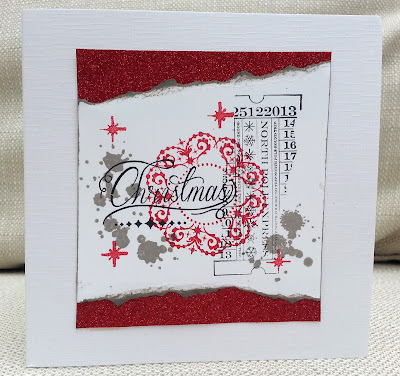 For my DT card I used a variety of stamps - the ones stamped in red are from my empty-box-project box (brand unknown but they were probably a magazine freebie). 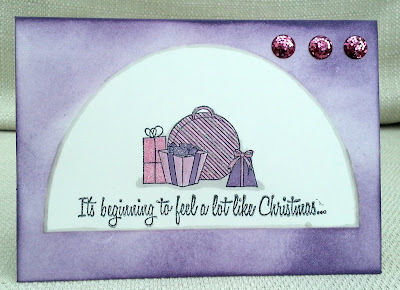 The word 'Christmas' and the ticket (which I did a sort of distress masking thing with) are from a Pink Paislee stamp set; and the splatters are by Visible Image. Just in case you can't tell from the photo - the red borders are glitter paper. 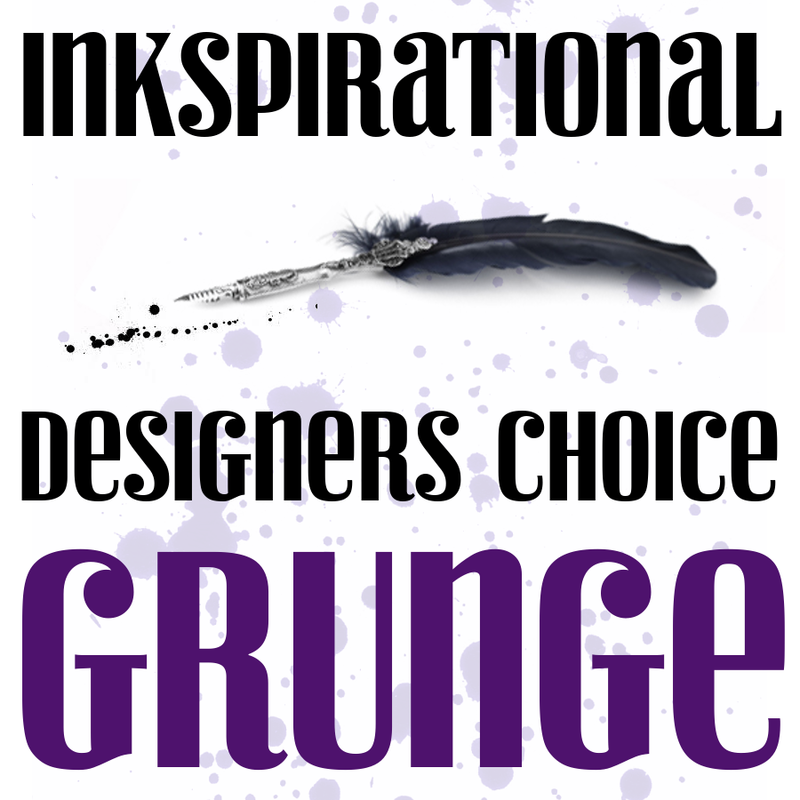 So, please come over and join us at Inkspirational with your grungey projects. Ashwini is our fabulous guest designer this time. 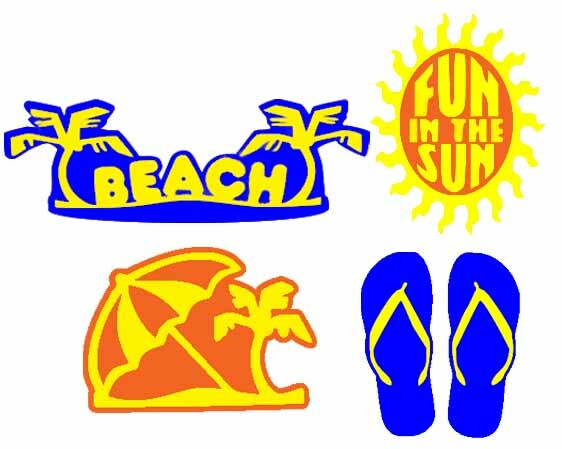 The summer challenge at Creative Cutting Challenge is to use any Creative Pointe SVG - and there are freebies to try if you haven't bought any. I hope to see you there.